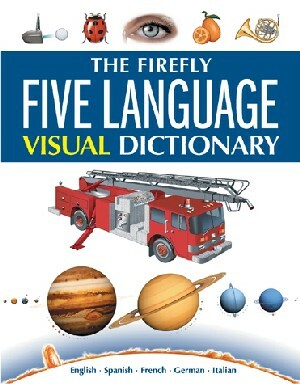 The Firefly Five Language Visual Dictionary is an unparalleled reference to the world around us. With more than 6,000 color illustrations -- each detailed image is labeled in five languages -- The Firefly Five Language Visual Dictionary shows what other dictionaries can only describe. From the parts of a honeybee to the parts of a bulldozer, its scope and depth is immense. Each one of the 35,000 terms are included in the 5 indices by language.